DIESELsilk top with safety pin andPAMELA LOVEearrings. KIELEY KIMMELvelvet blazer and dress, ZANA BAYNEbelt with hands clasp, PAMELA LOVEearrings and ring, andUNEARTHENbracelets. ZAID AFFASleather jacket and wide leg slacks, DIESELt-shirt,ZANA BAYNEleather harness, GREY CITYpointed lace-up boots, andUNEARTHENring. 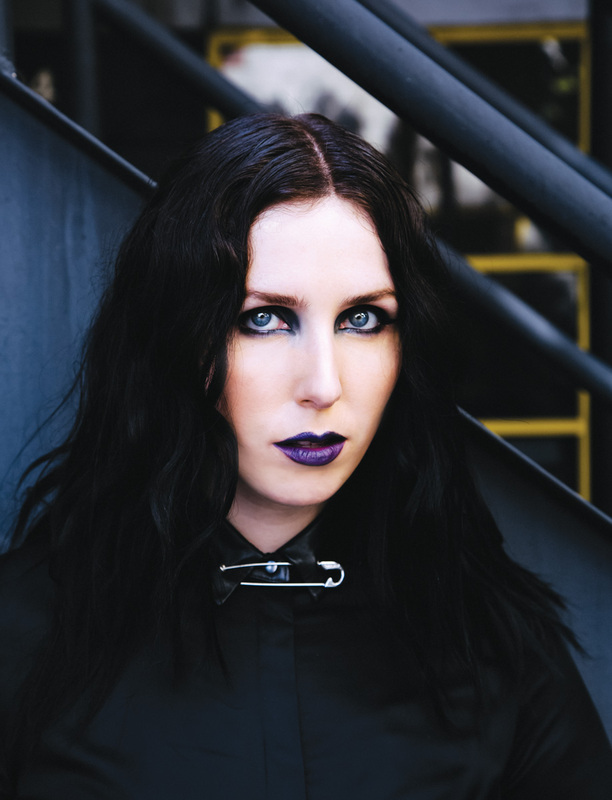 Chelsea Wolfe is feeling free. Not so long ago, the formerly-Los Angeles-based singer and musician moved outside of the angel city, finding solace in the high desert, about 90 minutes away from her previous home. In a way, she was escaping, gaining freedom. For much of her life, Wolfe has woken in the early hours of the morning with a staggering heaviness pushing down on her chest, at times accompanied by a vague—or vivid—awareness of a dark figure in her presence: sleep paralysis. The phenomenon has found its way into the thematic presentation of Wolfe’s most recent full-length record, Abyss. Wolfe notes that her issues with sleep subsided after the recent move to the desert; perhaps she escaped these spirits and the energy that previously burdened her, perhaps the entities no longer had an easy time reaching her. Using this worldly inspiration, Wolfe writes and creates parallel histories, layering and intertwining these stories, running them through tape delays and reverb pedals, paired with the electrified growl of distorted kick drums—every element a digit on a hand reaching to pull us down into her world of rash instrumentation and yet: beauty. It seems the recent move to the high desert is also a point of comfort to the artist. Having found an artistic freedom that had been lacking previously: “I’ve never really had my own space and now I do. I have my own studio setup that I don’t have to share, and it’s nice to have that 24-hour access to be able to create and to really just feel free and, you know, wear whatever I want and sing whatever I want and act however I want and to just allow everything to come to the forefront and not be worried about anybody else’s energy that I have to deal with, you know what I mean? Photographer: Samantha West at samanthawest.net. Stylists: Annie & Hannah at dlmla.com. Hair: Brian Fisher for thewallgroup.com. Grooming Notes: Makeup by M.A.C Cosmetics and hair by R+Co.